1590: Two Dutch spectacle-makers and father-and-son team, Hans and Zacharias Janssen, create the first microscope. 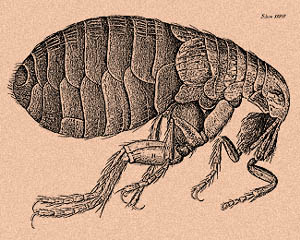 1667: Robert Hooke's famous "Micrographia" is published, which outlines Hooke's various studies using the microscope. 1675: Enter Anton van Leeuwenhoek, who used a microscope with one lens to observe insects and other specimen. 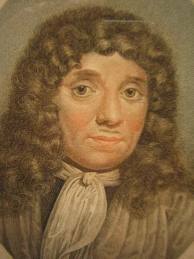 Leeuwenhoek was the first to observe bacteria. 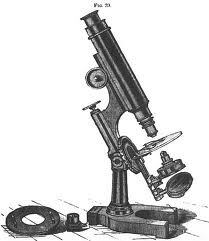 18th century: As technology improved, microscopy became more popular among scientists. Part of this was due to the discovery that combining two types of glass reduced the chromatic effect. 1830: Joseph Jackson Lister discovers that using weak lenses together at various distances provided clear magnification. 1878: A mathematical theory linking resolution to light wavelength is invented by Ernst Abbe. 1903: Richard Zsigmondy invents the ultramicroscope, which allows for observation of specimens below the wavelength of light. 1932: Transparent biological materials are studied for the first time using Frits Xernike's invention of the phase-contrast microscope. 1938: Just six years after the invention of the phase contrast microscope comes the electron microscope, developed by Ernst Ruska, who realized that using electrons in microscopy enhanced resolution. 1981: 3-D specimen images possible with the invention of the scanning tunneling microscope by Gerd Binnig and Heinrich Rohrer. 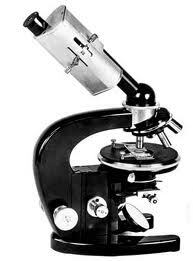 Origin: The origin of the word microscope according to the Online Etymology Dictionary is as follows: 1656, from Mod.L. microscopium, lit. "an instrument for viewing what is small," from Gk. micro- (q.v.) + -skopion. "means of viewing," from skopein "look at." Microscopic "of minute size" is attested from 1760s. Just as the Greeks had a fully functioning radiant heating system operating two thousand years before those only now being introduced in the US, so the origins of the compound light microscope appear to be traced, not to Holland, England or France - but to China which is perhaps appropriate given the present predominance of China in supplying compound light microscopes! According to an ancient Chinese text, the Chinese viewed magnified specimens through a lens at the end of a tube, which tube was filled with varying levels of water according to the degree of magnification they wished to achieve. Ingenious, effective and repeatable in the home, today. That this occurred some 4,000 years ago in the Chow-Foo dynasty and more than 3,500 years before the "father of modern microscopy" was born is quite remarkable. 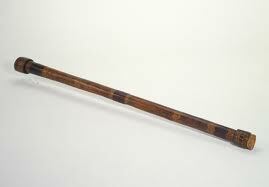 That these Chinese ancients achieved magnification levels of 150 times today's standard, or 100 moou, is breath-taking. It is as if they developed a town car that achieved Mach II. If they did build such a car, no reference to it has ever been found. Similarly, there is no further known reference to such a compound microscope device until we come back to the Greeks again. 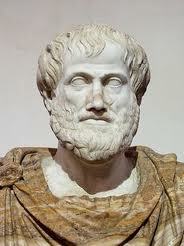 No less a person than Aristotle describes the workings of a microscope in some detail. The Greeks certainly made good use of curved lenses, which are an essential component of any stereo or compound microscope. Ancient Greek boys probably shared every American boy's sense of triumph of using a curved lens, or magnifying glass, to start a fire. The Greeks, however, also used it for surgical procedures, not on ants as little boys are wont to do, but on people - to cauterize wounds and lesions caused by leprosy and so forth. Ancient Egyptians and Romans also used various curved lenses although no reference to a compound microscope has been found. The Greeks did, however, give us the word "microscope." It comes from two Greek words, "uikpos," small and "okottew," view. However, while Ancient Chinese, Greeks and Romans all applied their infinite wisdom to the issue, there is no known reference to either the use of artificial light or to multiple lenses. In other words, we can give great credit to the Ancients for their foresight and achievements, but we have to look elsewhere to uncover both the first light and compound microscope. Incredibly, the next historical references with anything at all to do with microscopes, or more accurately, optics is 1,200 years after Rome was sacked and, even then, the references are only to the use of lenses in the invention of spectacles. Put another way round, some of the smartest people the planet has ever produced, played and worked with single lenses for several thousand years without taking it further. 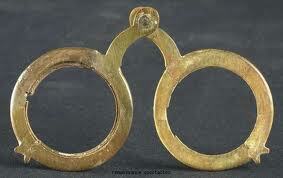 Then, within just a few short years in Tuscany, Italy, two men claimed to have independently invented spectacles. The evidence? Their tombstones! One, Salvano d'Aramento degli Amati died in 1284 in Florence and claimed to have kept the process secret. The other, Allessandro della Spina died in 1317 and claimed to have revealed his process. Pisa and Florence are but a short gallop away. Coincidence? You decide. In any event, a local monk, Girodina da Rivalta gave a sermon in 1306 in which he enthusiastically endorsed spectacles as a terrific invention and in passing, indicated that they had been in use for about 20 years. Finally, in 1289, another local from the Popozo family bemoaned that "I am so debilitated by age that without the glasses known as spectacles, I would no longer be able to read or write." At about the same time, it appears that lenses were being used in early telescopes. In the 13th century, the Englishman, Roger Bacon discusses them at length. Both spectacles and microscopes are relevant to microscopes because they trace the increasingly sophisticated use of lenses - the essential optical component of any microscope. Then, a mere 200-300 years later, we find a plethora of references and hard evidence of both telescopes and microscopes. The Renaissance had arrived and with it, an abundant flowering in the arts and sciences. Most importantly, with the invention of the printing oress, ideas and developments could be spread easily and rapidly. As a result, Thomas Digges' work on the telescope in England in the mid-16th century and Hans Lippershey's work which included applying for a telescope patent were transmitted to others, including no less a genius than Galileo. Galileo immediately began to work with lenses. In a short timeframe, he developed an improved telescope with a focusing device and went on to conquer the stars. That said, we should also pay tribute to Sir Isaac Newton who around the same time in the UK, invented the reflecting telescope. But what of microscopes?Well, the same Hans Lippershey and his son, Zaccharias Hanssen was experimenting with a variety of lenses. In the late 1590?s, they used several lenses in a tube and were amazed to see that the object at the end of the tube was magnified significantly beyond the capability of a magnifying glass. They had just invented the compound microscope. That is to say, they had discovered that an image magnified by a single lens can be further magnified by a second or more lenses. Then, in the mid 17th century, an Englishman, Robert Hooke and a Dutchman, Anthony Van Leeuwenhoek took the microscope to new levels. Hooke was a sickly genius who loved to experiment. He did so across a huge range of scientific fields of study and with prolific success. He invented the universal joint, the iris diaphragm (another key component of many modern light microscopes), a respirator, an anchor escapement and balance spring for clocks. He also worked out the correct theory of combustion; devised an equation describing elasticity that is still used today ("Hooke's Law") and invented or improved meteorological instruments such as the barometer, anemometer, and hygrometer; and so on. Most of all, however, he is known for Micrographia, his studies with a microscope, published in 1665. Micrographia became an overnight sensation not just for what he described but for the superb drawings that he made. He described a new world alongside exquisite drawings of the stinging hairs on a nettle, a flea and, most famously of all, the honeycomb structure or "cells" of a cork. It was Hooke who coined the term "cells" when describing living tissue. 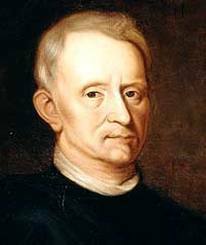 Interestingly, while Hooke did use a compound microscope, he found that it much strained and weakened his sight. For his Micrographia, he preferred to use a simple, single lens microscope made of gold and leather and illuminated by a candle. Perhaps the first light microscope? It was Leeuwenhoek, however, who lived at the same time as Hooke and drew on Hooke's work to take microscope design to new levels of sophistication. As a draper, he used a simple microscope to examine cloth. As a scientist, he began to experiment with new ways of grinding lenses in order to improve the optical quality. In total, he ground some 550 lenses, some of which had a linear magnifying power of 500 and a resolving power of one-millionth of an inch - an astounding achievement. Leeuwenhoek detailed these achievements in almost 200 letters to The Royal Society in London where no less a person than Robert Hooke validated them. The result of all this work was a simple, single lens, hand-held microscope. The specimen was mounted on the top of the pointer, above which lay a convex lens attached to a metal holder. The specimen was then viewed through a hole on the other side of the microscope and was focused using a screw. "I now saw very plainly that these were little eels, or worms, lying all huddled up together and wriggling just as if you saw, with thenaked eye, a whole tubful of little eels and water, with the eels squirming among one another; and the whole water seemed to be alive with these multifarious animalcules. This was for me, among all the marvels that I have discovered in nature, the most marvelous of all; and I must say, for my part, that no more pleasant sight has every yet come before my eyes that these many thousand of living creatures seen all alive in a little drop of water, moving among one another, each several creature having its own proper motion." He had discovered bacteria. He had earned his title of the Father of the Microscope. Interestingly, it took until 1839, nearly two hundred years later, before cells were finally acknowledged as the basic units of life. The next major step in the history of the microscope occurred another 100 years later with the invention of the achromatic lens by Charles Hall, in the 1730s. He discovered that by using a second lens of different shape and refracting properties, he could realign colors with minimal impact on the magnification of the first lens. Then in 1830, Joseph Lister solved the problem of spherical aberration (light bends at different angles depending on where it hits the lens) by placing lenses at precise distances from each other. Combined, these two discoveries contributed towards a marked improvement in the quality of image. Previously, due to the poor quality of glass and imperfect lens, microscopists had been viewing nothing but distorted images - somewhat like the first radios were extremely crackly. It is worth remembering that up until now, each new stride has been in the quality or application of the lenses. 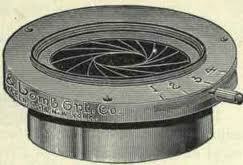 Then, in 1863, one of the several new manufacturers of microscopes, the Ernst Leitz company, addressed a mechanical issue with the introduction of the first revolving turret with no less than five objectives. This improvement was quickly followed in 1866 when Carl Zeiss recruited Ernst Abbe as his director of research at the Zeiss Optical Works. Abbe laid out the framework of what would become the modern computational optics development approach. He made clear the difference between magnification and resolution and criticized the practice of using eyepieces with too high a magnification as "empty magnification." By 1869, his work produced a new patented illumination device - the Abbe condenser. Abbe Condenser: Abbe's work on a wave theory of microscopic imaging (the Abbe Sine Condition) made possible the development of a new range of seventeen microscope objectives - three of these were the first immersion objectives and all were designed based on mathematical modeling. As Abbe noted, his creations were "based on a precise study of the materials used, the designs concerned are specified by computation to the last detail - every curvature, every thickness, every aperture of a lens - so that any trial and error approach is excluded." From here on, microscopes were designed based on sound laws of physics rather than the trial and error that had characterized the pioneers. At the same time, a number of companies set up specialized manufacturing plants focused on manufacturing precision microscopes. Research and development continued to bear fruit. In 1880, the first microtomes began to be used that enabled significantly thinner samples to be prepared in order to improve sample. In 1893, another Zeiss employee, August Kohler figured out an unparalleled illumination system that is still known as Kohler illumination. Using double diaphragms, the system provides triple benefits of a uniformly illuminated specimen, a bright image and minimal glare. In other words, Kohler achieved an almost perfect image. The mass market for microscopes had arrived at the same time as precision engineering and it is little wonder that a plethora of stunning results were obtained: In 1879, Walter Flemming discovered cell mitosis and chromosomes, an achievement recognized as one of the 100 most important scientific achievements of all time. At the turn of the 19th/20th centuries Louis Pasteur invented pasteurization while Robert Koch discovered his famous or infamous postulates: the anthrax bacillus, the tuberculosis bacillus and the cholera vibrio. UV and Phase: By 1900, the theoretic limit of resolution for visible light microscopes (2000 angstroms) had been reached. In 1904, Zeiss overcame this limitation with the introduction the first commercial UV microscope with resolution twice that of a visible light microscope. In 1930 Fritz Zernike discovered he could view unstained cells using the phase angle of rays. Spurned by Zeiss, his phase contrast innovation was not introduced until 1941 although he went on to win a Nobel Prize for his work in 1953. Electron Microscopes: In 1931 Max Knoll and Ernst Ruska invented the first electron microscope that blasted past the optical limitations of the light. Physics dictates that light microscopes are limited by the physics of light to 500x or 1000x magnification and a resolution of 0.2 micrometers. Knoll and Ruska built a transmission electron microscope (TEM) - one that transmits a beam of electrons (as opposed to light) through the specimen. The subsequent interaction of the beam of electrons with the specimen is recorded and transformed into an image. Then, in 1942, Ruska improved on the TEM by building built the first scanning electron microscope (SEM) that transmits a beam of electrons across the specimen. Ruska's principles still form the basis of modern electron microscopes - microscopes that can achieve magnification levels of up to 2 million times! 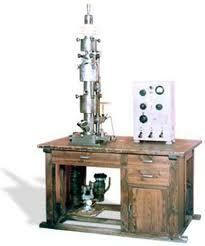 The second major development for microscopes in the 20th century was the evolution of the mass market. Started in the 19th century when Leitz claimed to have exported 50,000 microscopes to the U.S., this trend accelerated in the 20th century. As a result, a large number of manufacturers sprang up to offer more competitively priced alternatives to established European companies such as Zeiss and Leitz. China: China has become a major supplier of microscopes for everyday use and, with the evolution of their optical manufacturing capability, now supplies optical components to some of the major microscope brands. 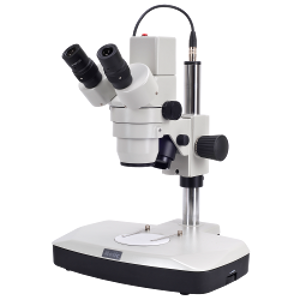 This market trend has had a beneficial effect on the price of microscopes, enabling the spread of microscopes beyond the realm of the research scientist to everyday commercial and individual use. New light sources - halogen, fluorescent and LED have all improved or added a greater versatility of the light microscope, while the advent of boom stands have led to extensive commercial inspection applications that cannot be undertaken with a standard pedestal microscope base. The most recent innovation, however, has been the arrival of the digital microscope. Digital Microscopes: Digital microscopes allow for live image transmission to a TV or computer screen and have helped revolutionize microphotography. Digital microscopes simply integrate a digital microscope camera on the trinocular port of a standard microscope. An alternative and more flexible solution is simply to place a digital microscope camera on a trinocular microscope! Dino-Lite: One of the more original innovations in the 21st century has been Dino-Lite Digital microscopes. 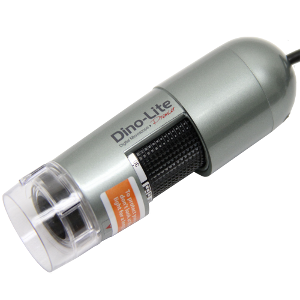 Dino-Lite are handheld digital microscopes, not much larger than a fat pen. They offer low power zoom capability with magnification up to 500x. They have had a marked impact on industrial inspection applications.